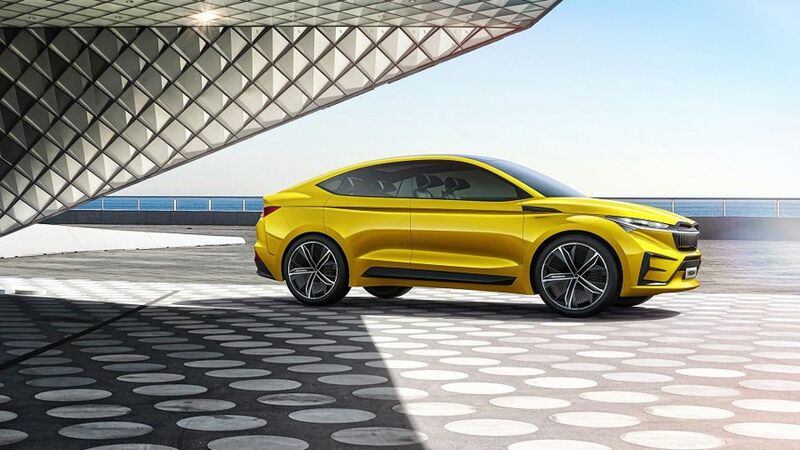 Skoda previews its Vision iV electric concept – an all-electric coupe-style SUV with a range of up to 311 miles. 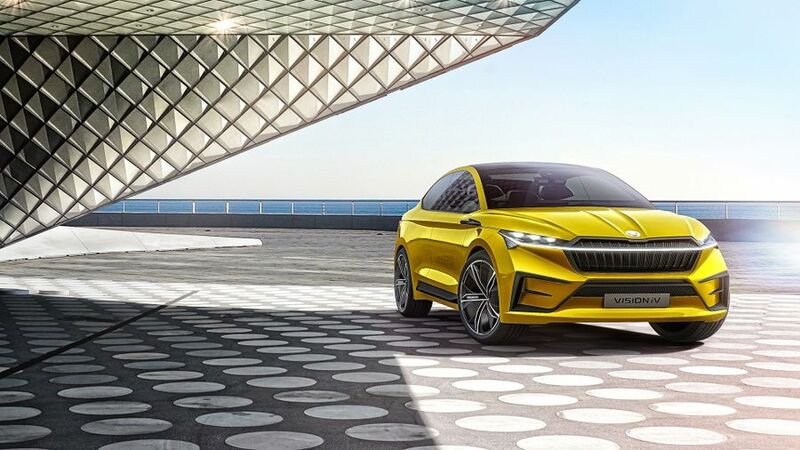 Skoda has revealed its all-electric Vision iV concept at the 2019 Geneva Motor Show. Although the car is a concept, Skoda has said it’s a reliable indication of an upcoming all-electric production model. The SUV coupe will have a range of up to 311 miles on the WLTP cycle, and it will be possible to charge from 0-80% in 30 minutes on a fast charger. Skoda says 0-62mph will take just 5.9 seconds, 50-75mph will take less than four seconds, and the car will have a limited top speed of 112mph. 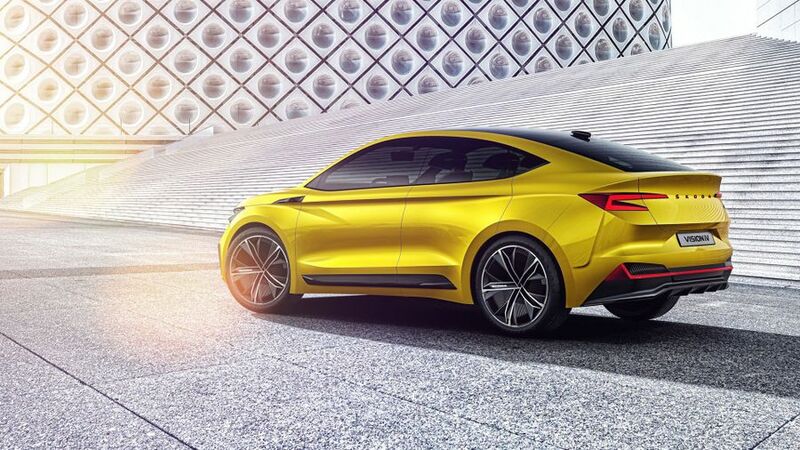 Design wise, the car is looking quite like a concept still, with electrically-operated doors with no handles, cameras instead of door mirrors, and 22-inch alloys. Inside, the cabin is also looking futuristic, with a ‘floating’ infotainment system in the middle of the dash, a two-spoke steering wheel, digital instrument display, and swivelling deep bucket seats. The car has also been made with eco-friendly materials. If one mobile phone isn’t enough, you’ll be able to connect two to the concept’s infotainment system, and there’s wireless charging. Extra Skoda touches include gesture control, ‘phone-as-key’ support (which means you can let several people have access to the car via a mobile phone), a well-being monitor, intelligent speech recognition, and real-time traffic updates. The iV concept comes with level three autonomous capabilities, which means it can take control of steering, acceleration and braking, along with parking itself, and dealing with traffic jams. The production version of the iV concept is expected to be on sale in 2021, so we’ll see how different it looks from this concept. Find out more about all the cars revealed at the 2019 Geneva Motor Show. Interested in buying a SKODA ?